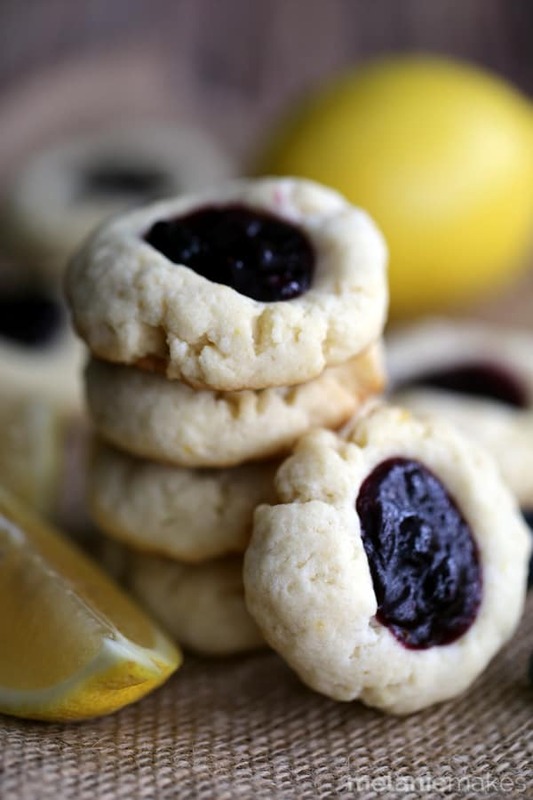 These Blueberry Lemon Ginger Thumbprint Cookies pack a bright citrus punch!. 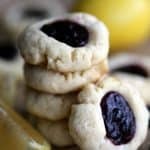 A lemony ginger thumbprint cookie is baked and then filled with a blueberry lemon ginger filling to create a one of a kind flavor combination. 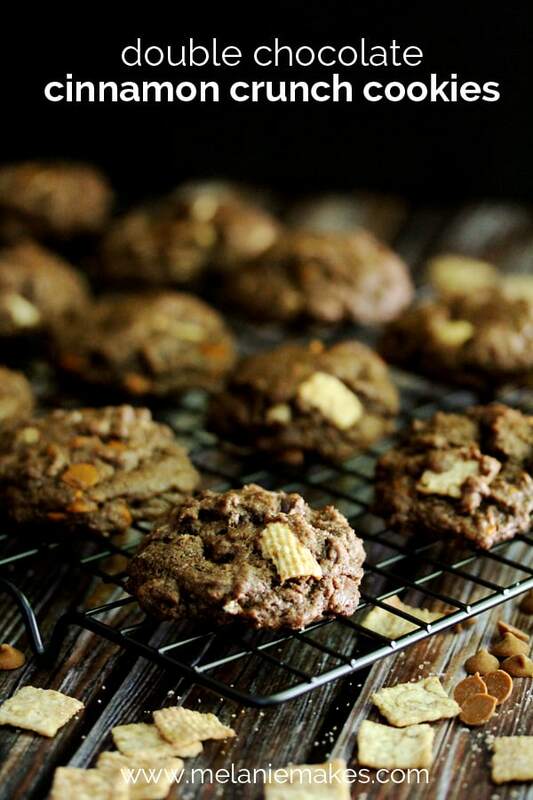 Your cookie jar will be begging to be filled with this delicious cookie! I’ve mentioned it before, but I absolutely adore the teachers and staff at the girls’ school. If we move in 18 months, their school is hands down the thing I worry about replacing the most in our lives. It’s just that awesome. I co-chair the teacher appreciation committee where I coordinate parents to bring in food for the staff during parent/teacher conferences to make sure they’re well fed during their long days. Little do the staff know, I use this opportunity to test new recipes and gain their feedback. 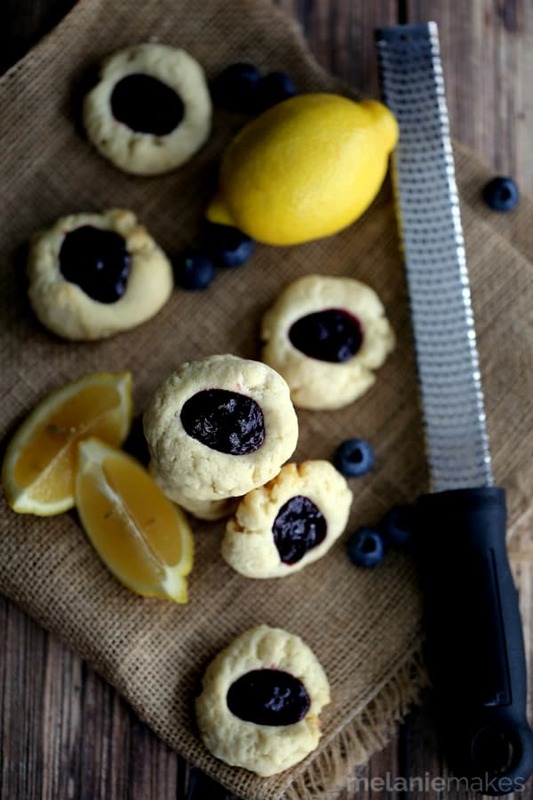 These Blueberry Lemon Ginger Thumbprint Cookies were my latest taste test. I must admit I was a bit worried how they’d go over in case the staff preferred chocolate over fruit flavored treats. I remedied this by bringing in another cookie as well. 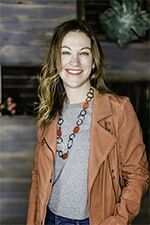 My fears were put to rest as I received numerous compliments and requests for the recipe when I returned to school for my own parent/teacher conference. These cookies pack a bright citrus punch, perfect to break Winter’s spell. 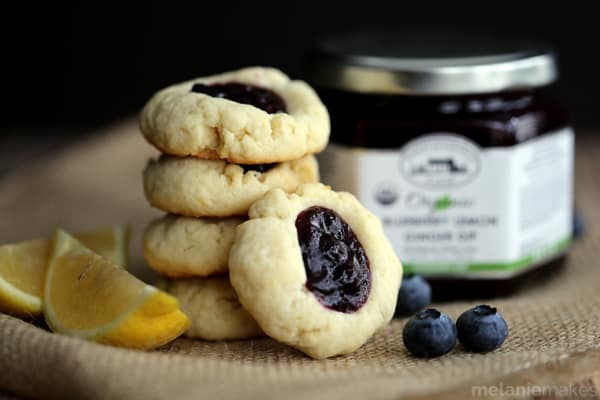 A lemony ginger thumbprint cookie baked and then filled with Robert Rothschild Farm’s Blueberry Lemon Ginger Dip to create a one of a kind flavor combination. I love that the filling was created as easily as warming the dip and adding a cornstarch slurry to thicken it into a jam like consistency. It makes the effort of making the cookie itself – not that it’s hard whatsoever, I’m just usually a drop cookie type of gal! – bearable. 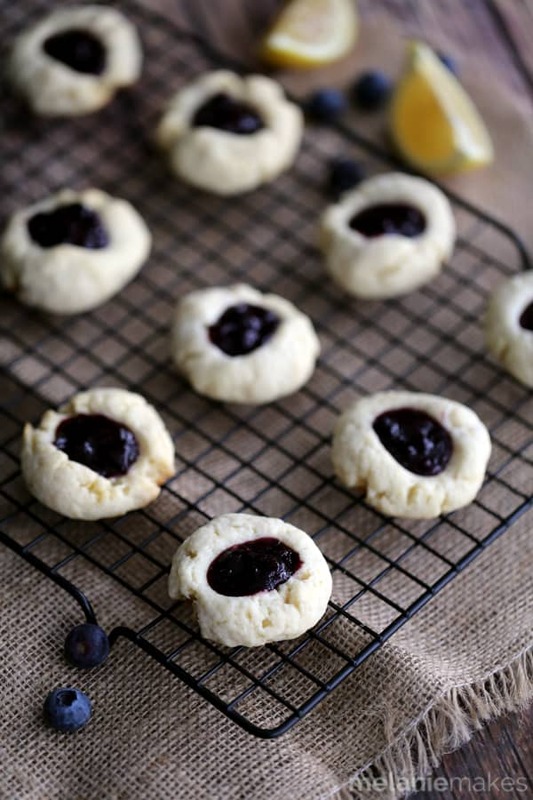 These Blueberry Lemon Ginger Thumbprint Cookies pack a bright citrus punch!. 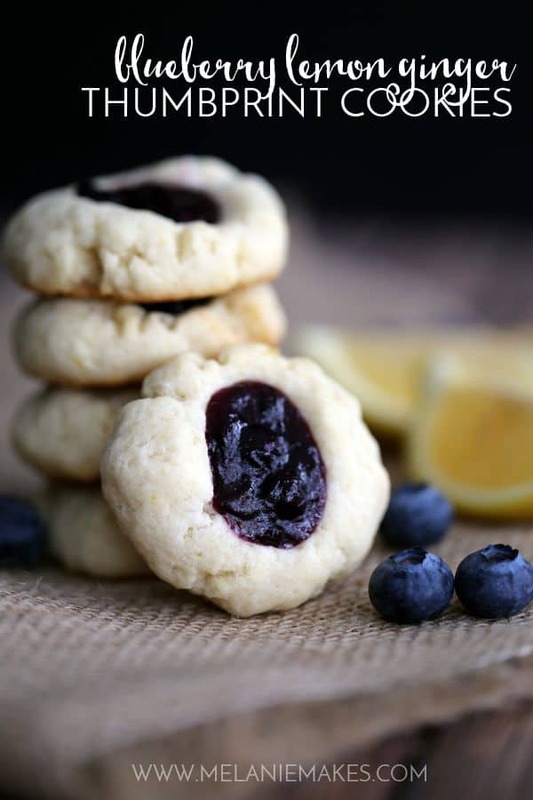 A lemony ginger thumbprint cookie is baked and then filled with a blueberry lemon ginger filling to create a one of a kind flavor combination. In the bowl of an electric mixer, cream together butter and sugar. Stir in eggs, lemon zest, grated ginger, lemon juice and salt. Using a medium cookie scoop, roll dough into balls and place on parchment or silicone mat lined baking sheet. Using your thumb, make an indentation in the middle of each dough ball. Bake cookies until lightly golden, about 18-20 minutes. Meanwhile, in a small saucepan over medium-low heat, add dip and bring to simmer. In a small bowl, whisk together water and cornstarch. Whisk into dip until thickened. 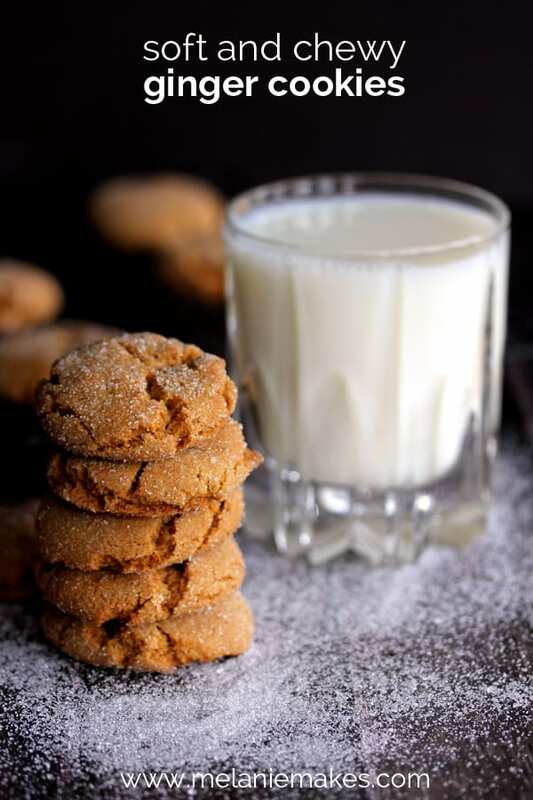 Fill indentations of cookies with thickened dip and bake for two additional minutes until set. Not only did the school staff enjoy these cookies, so did my usual blueberry loathing 4 year old! Not only did she inhale the cookie I sat in front of her, she quickly asked for another. Even AFTER I told her that the filling was blueberry as I tried to keep a few extra cookies for myself. If that isn’t a glowing testimonial, I don’t know what is! I love thumbprint cookies! They remind me of childhood. This version sounds amazing - I love the flavors you used! It was definitely fun to come up with a new flavor combo, Cate! You're speaking my language!!! Yum! How excited the school's staff must have been to receive such a treat! I love the trio of flavors - delicious! Thank so much, Patricia - they definitely deserved the sweet treat! Lemon + blueberry = perfection...and with ginger....even better. You're so kind - thank you, Cathy! Lemon and blueberry = so dreamy! And in cookie form?! Too die for! Thanks, Meg - it's such a nice switch from the typical chocolate that I usually gravitate to. These cookies look fantastic! Love how well blueberry and lemon go together....yum! That blueberry dip is my favorite! This is such a fabulous way to enjoy it too!! I imagine the flavors are bright and light - a perfect tease of spring! I am addicted to all things lemon and these look fantastic! Love that you added the blueberries to it! Thanks so much, Serene - it's such a fun flavor combination! Love the flavor combo of blueberry, lemon and ginger! Pinning for when I'm ready to bake some cookies! Thanks, Mischa - would love to hear what you think if you give them a try! SO perfect Melanie, I love how bite size they are the freshness from the blueberry lemon and ginger spread! YUM! Thanks, Krista - I love the bright citrus flavor these cookies have. 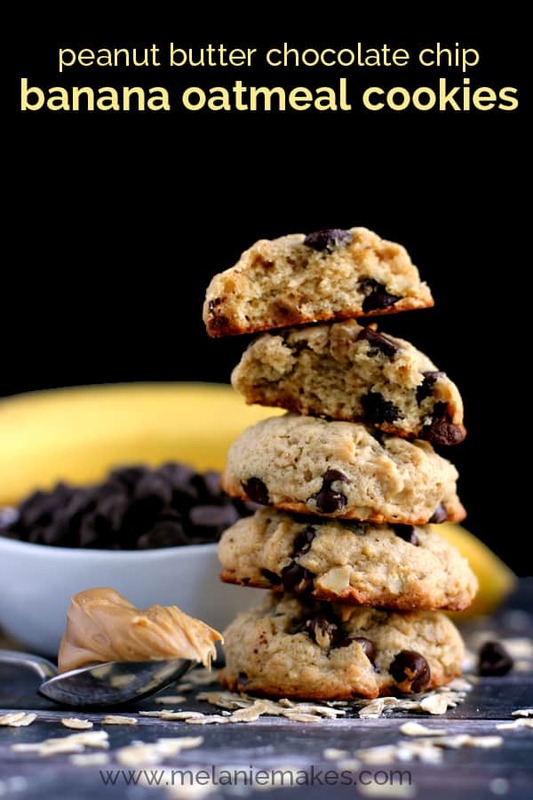 These look like a sweet little treat! Love blueberry lemon combos. Absolutely, Amy - thank you! These look great and I love the addition of fresh ginger! Thanks, Kelly - the ginger was such a fun touch! I totally agree, Beth - thumbprints year round! As a previous school teacher, I loved it when parents brought in goodies for us! It made my day. I always worry about whether people prefer fruit to chocolate, or the oppposite, too. :) These look perfect and so yummy! Thanks, Julie - it's so fun to spoil the people that take such good care of my children each day.